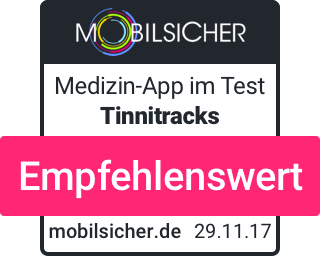 Our mobile medical app Tinnitracks has been analyzed by the independent initiative ˮmobilsicherˮ from irights e.V. The testers highlighted that beyond being a certified medical device and several major reimbursement deals the data privacy concept of the app. The result is a huge success for the Sonormed team. Find out more on mobilsicher (German).